Welcome to the Harpster Electric Website! Hi, I am Mark Harpster. 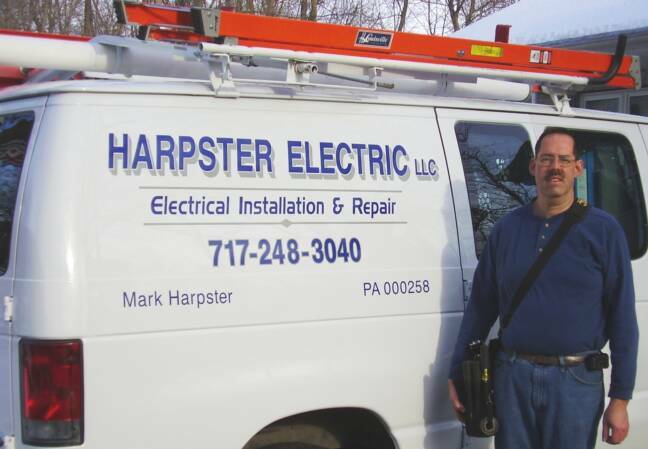 Harpster Electric, LLC serves the heart of Central Pennsylvania with electrical services intended to make your life easier and save money on your electrical needs. Homes today require more and more electrical capability to handle the current needs for the technological lifestyle we all enjoy. This website was designed to tell you about the services offered by Harpster Electric, and to help you become educated on many electrical improvements, and savings options. Your work was excellent, "quick" AND you showed up when promised. You'll be returning to this address as soon as I can get things lined up. Thanks so much. I appreciate the efficient work Mark did for me on two occasions and will call on him for more work I need done. Mark's integrity, work values and Christian values were reasons I asked him to do the work. He's a super nice guy! Click Here for the Services We Offer. 1. We are not satified until our customers are! 3. Your satisfaction is 100% guaranteed!